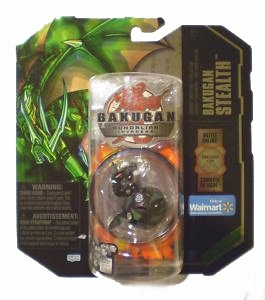 The Bakugan Stealth packs were introduced during the third season, and all of the Bakugan in this series were Gundalian Invaders. 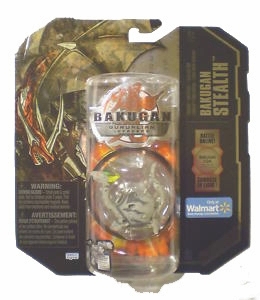 The series is a Wal-Mart exclusive, and can be called BakuStealth. 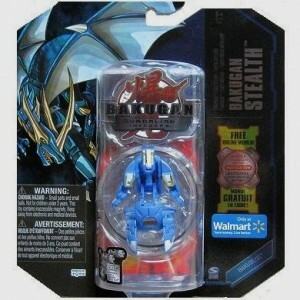 Under the Bakugan Stealth are four classifications of Special Treatment Bakugan. We have the BakuShadow, the BakuGranite, the BakuCamo, and the BakuBlue series. 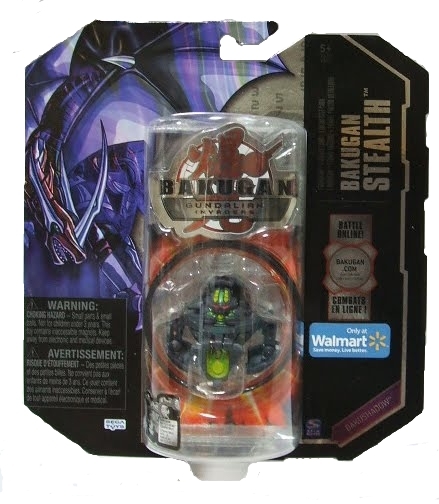 The BakuShadow Bakugan is recognized for its darker tone color than regular Bakugan. Most of the Bakugan that belongs to this series are of the Darkus Attribute. The BakuGranite Bakugan features Bakugan with the appearance of.. granite, of course. There are are two versions, and both versions show small dark dots on the Bakugan to make it look like granite rock. The first version was colored like a light stone, grey colored, with the small dots around it. The second version was a dark fiery red, with the dots, too. The BakuCamo Bakugan has a design that is meant to be a camouflage when in battle, hence the name of the series (from the word "camouflage"). One design is that of an army uniform, black with patches of dark green and light green. Another is brown with streaks of darker brown, for camouflage in a desert battle. 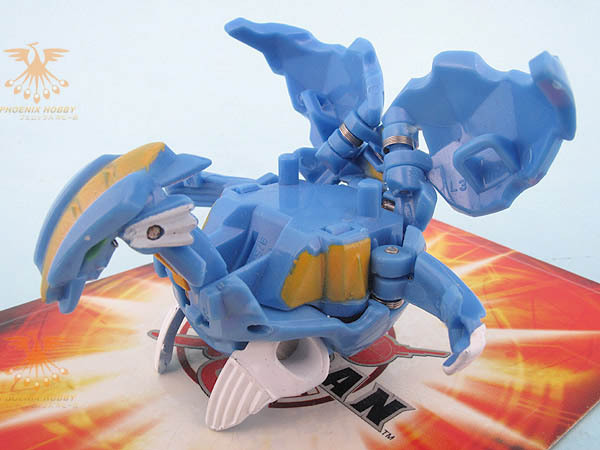 The BakuBlue Bakugan is made up of Bakugan with light blue color (secondary color is yellow). 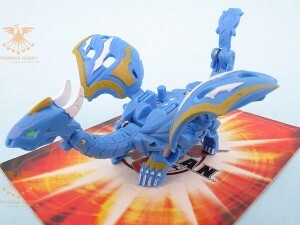 In Bakugan Dimensions, all BakuBlue Bakugan are classified as Aquos.